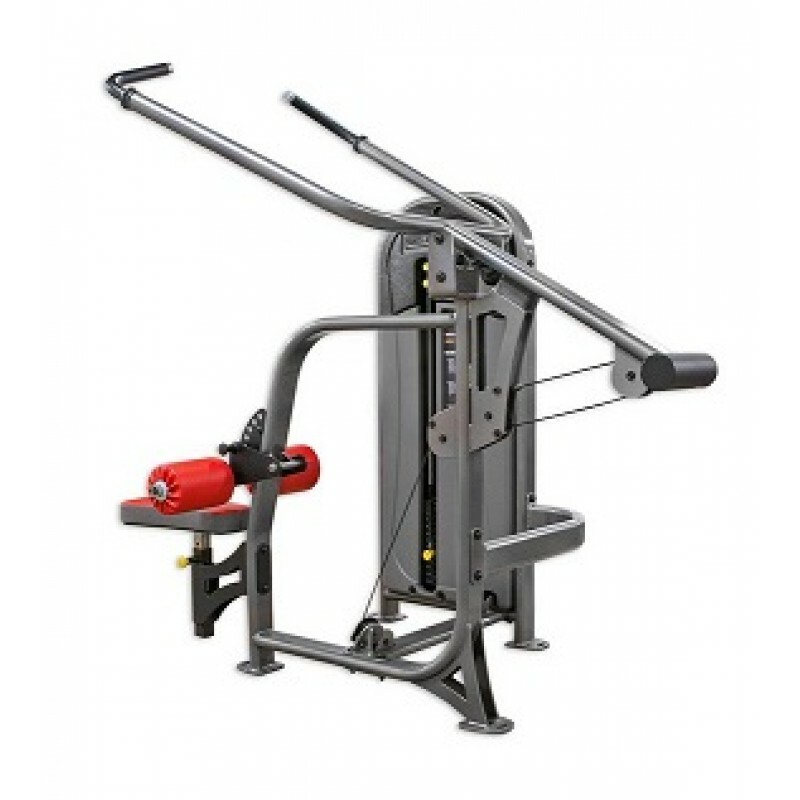 The SelectEDGE Lat Pulldown focuses on clean lines, smooth movement, durable construction and thoughtful features to be the supreme example of what pin select pulldown machines can be. The contoured lines, partially hidden cable and consistent profile are a benefit to any facility environment, rivaling the best that the Far East can offer, and 30 frame colors along with standard two-tone upholstery (with over 80 colors to choose from) provide color customization without compromises. Tough PowerMax pulleys have a base load rating of 2150 pounds and a tensile strength of 20,000 psi, and their shielded bearings make the action smooth. A standard 240-pound weight stack (20-pound plates) broadens the appeal to more serious weightlifters, and a 300-pound weight stack upgrade is available for the real heavyweights. Two-position handle and adjustable pads offer the variation and adaptability the modern marketplace demands. Made in America with actual customer support brings SelectEDGE to the forefront of the pin select market for clubs, YMCAs, rec centers and rehab facilities! Large grips provide multiple hand positions. Fully upholstered, adjustable thigh rollers.